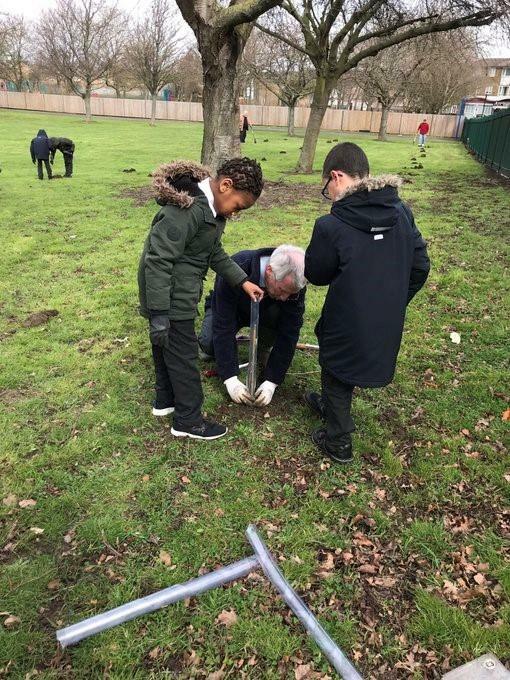 Another step in the development of the excellent and much valued community partnership between the Rotary Club of Croydon and Broadmead Primary Academy was the planting of 120 young trees on Monday, March 18, 2019. The trees were donated by The Woodland Trust as part of their extensive mass planting to be undertaken in a single season. 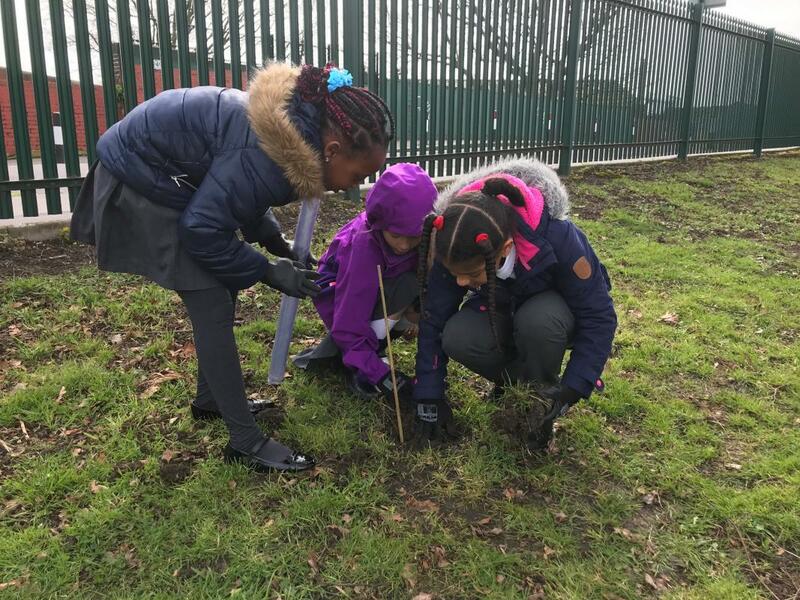 During March 2019 over one million trees supplied by the Woodland Trust will be planted throughout the UK. 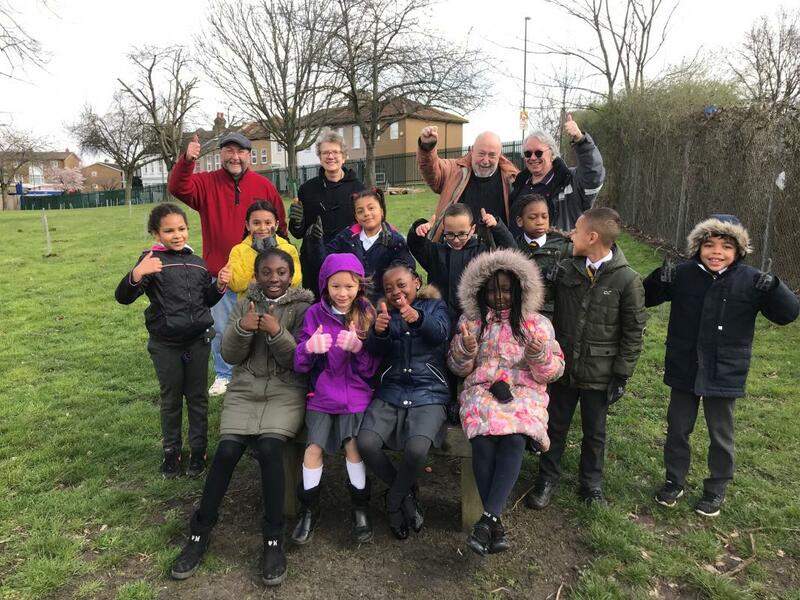 The 120 saplings planted at Broadmead Primary Academy by its young pupils will be a part of that great environmental project and proved to be more successful than expected following several delays and so much bad weather. 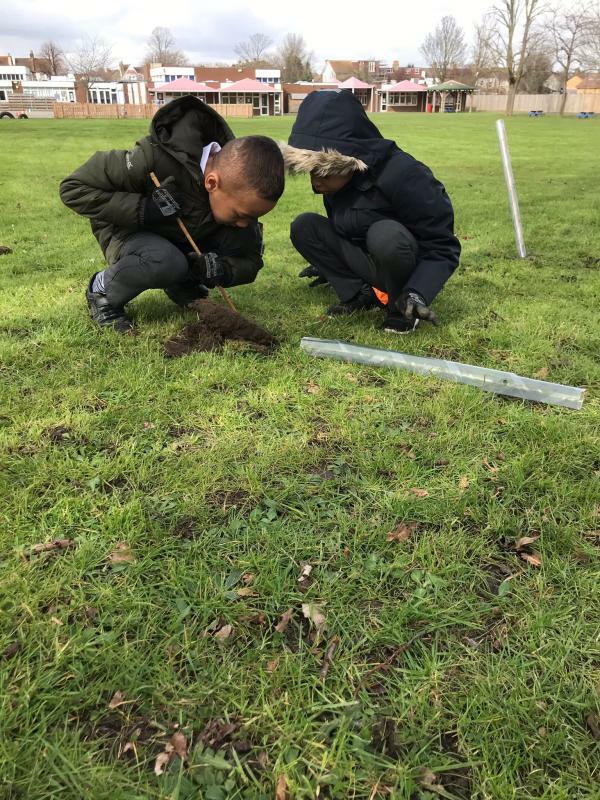 This builds on the crocus planting we carried out last year and, once again, the school will use this project within the school curriculum so that pupils learn about the growth cycle of the trees and the benefit they bring to the environment. 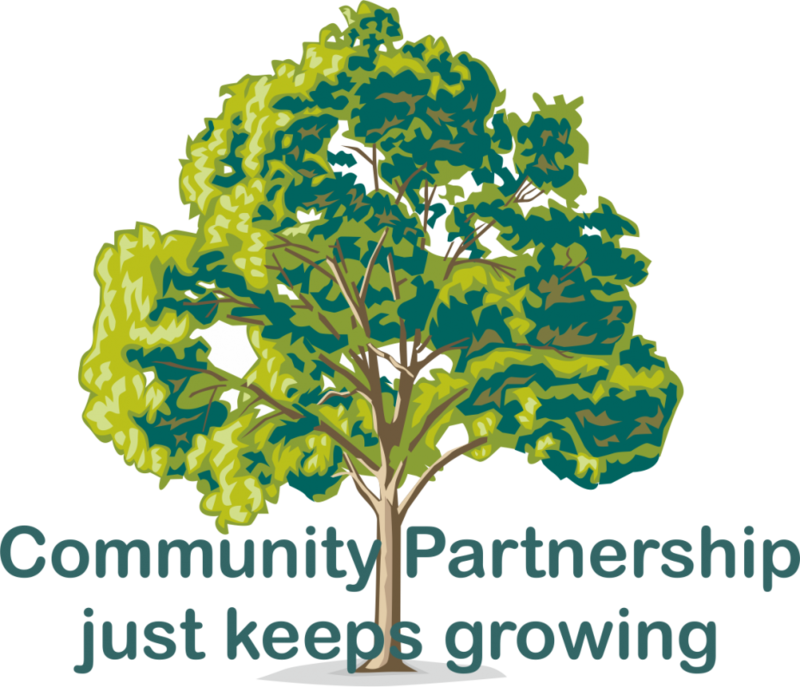 The club looks forward to working with the Sarah, engaging in many more joint projects demonstrating our commitment to working directly in the local community. As mentioned, the trees were kindly donated by The Woodland Trust, the largest woodland conservation charity in the United Kingdom concerned with the creation, protection, and restoration of native woodland heritage. It has over 500,000 supporters and has planted over 41 million trees since 1972. This exercise aligns with UN Sustainable Development Goal 15 - Life on Land. Protect, restore and promote sustainable use of terrestrial ecosystems, sustainably manage forests, combat desertification, and halt and reverse land degradation and halt biodiversity loss.